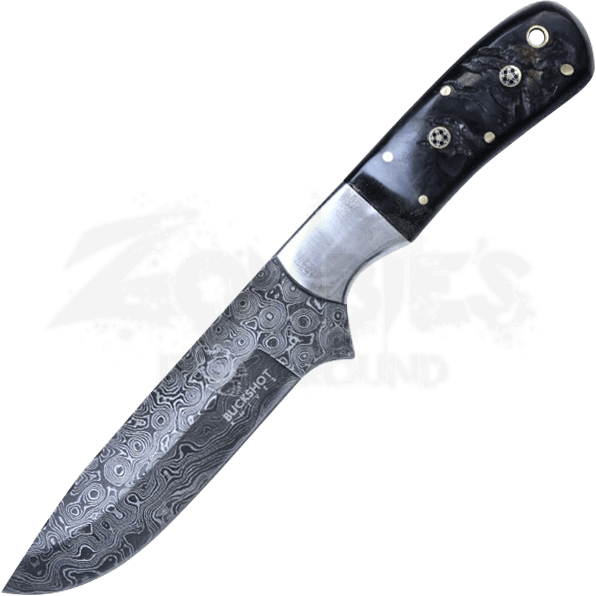 Versatility is the name of the game with this Damascus Steel Fixed Blade Knife. If you need a companion knife for hunting, fishing, camping, or carrying, this blade is a must-have addition to your growing collection. The signature rings and ripples associated with Damascus steel are on full display with this weapon. 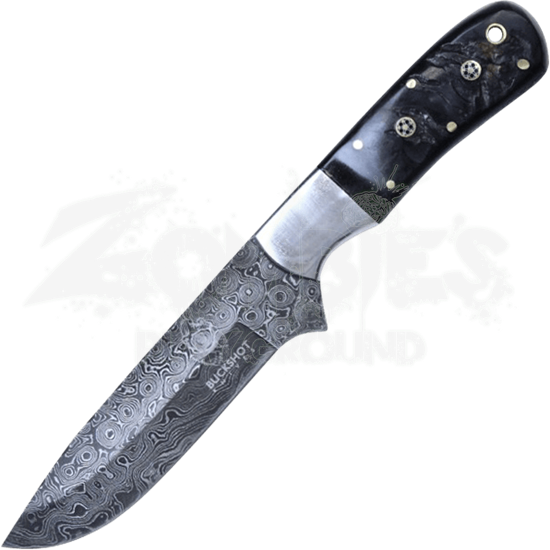 The knife blade features a slightly curved edge with a straight back, and the black handle provides an secure grip. Included here is a brown leather sheath offering easy transportation and access. When looking for a straightforward knife design with unique craftsmanship, this is the ideal blade.